Does it matter where a beer is made? One enduring question for many craft beer drinkers is, “Where is it brewed?” This is a loaded question. For some, if it wasn’t brewed within 50 yards of where they are sitting, they aren’t interested. For others, it better have been brewed in a brewery that’s capable of brewing only 7 barrels at a time or else it’s “Big Beer, No Thanks.” Another reason to ask where a beer is brewed is to learn whether a beer is brewed at the brewery on the label or contract brewed (brewed at another brewery, usually because of capacity reasons). 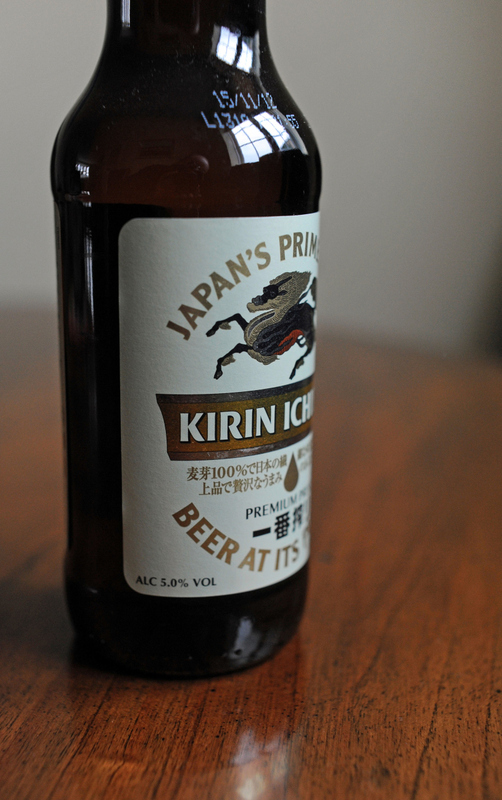 In his recent piece in Time.com, “5 ‘Imported’ Beers That Are Really Brewed in the U.S.A.,” Brad Tuttle looks at how Anheuser-Busch InBev recently had to open up about how it makes Kirin Beer, which is not actually imported from Japan. I think for a small craft brewery, making a “Japanese-style lager” would go over well. But the AB folks were going for the appearance of authenticity, apparently, which is not their strong suit. The piece goes on to talk about beers that appear to come from one country, when they actually are made in the U.S. Killian’s Irish Red is not from Ireland, nor is Red Stripe made in Jamaica. The question I’m posing is: does it matter? When I studied English as an undergraduate, the question would often come up when we were dissecting a short story or novel of the author’s life, and whether that should be considered in the analysis of a piece. Should you consider an author’s gender or sexuality? Should the fact that the writer was an insurance salesman for 30 years or was adopted matter when thinking about the plot? I fell into the camp that it did matter, mostly because I liked adding that extra wrinkle to the discussion. The fact that Ralph Ellison was African-American, was a classically trained musician, and grew up in Oklahoma of all places made a difference to me when I thought about his messages in Invisible Man (1952). So now that I analyze beer the way I did literature, I do believe where a beer is made makes a difference, but not a critical one. There’s freedom in drinking a beer blindly and enjoying it for what it is, without worrying about whether the brewer lives in Connecticut but brews his beer in Massachusetts. Or whether the brewery is part of a giant corporation versus a collective of scruffy 20-somethings. If I like a particular wheat ale that happens to be made by a company that’s owned by a bigger company and co-owned by another one, why should that color my view of the product? But it does, and that’s something I resolve to not let matter this year. How do you feel? This entry was posted in Beer Snob and tagged Kirin Beer, Ralph Ellison, Time.com. Bookmark the permalink. I think people often buy on “hipster cred,” so it’s annoying for companies to knowingly deceive customers!